I'm VERY impressed by the quality of your publication. I just wish I had something like this 6 years ago when I started my garden! "We have tried to incorporate some Japanese aesthetic principles in our yard. You have been part of that, sometimes with article in grubby hand. Thank you!" Tree pruning is one of the primary skills required of the Japanese garden professional. In fact, many Japanese homeowners equate the term "gardener" with "tree pruner." In Japan, gardens are expected to last, not for years, but for centuries. As a result, garden maintenance becomes a critical, year round task while garden construction is required less frequently. Tree pruning is not the only maintenance task in a sukiya-style garden, but it is certainly one of the most important. 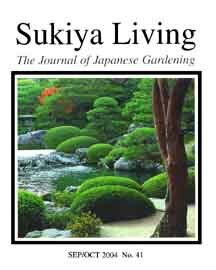 The Japanese Garden Journal often runs two pruning articles in each issue. One article is tailored to the beginner and focused on proper pruning techniques. The other article discusses advanced pruning techniques that are associated with Japanese gardens. 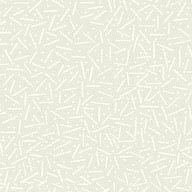 JOJG's advanced pruning articles often deal with artistic or design issues, and thus they are sometimes categorized as "Aesthetic Pruning" articles. JOJG also publishes articles about pruning specific types of trees such as azaleas, Japanese maples, crepe myrtles, and cherry trees. But, as any experienced arborist knows, pruning techniques overlap to a great extent. A technique used on one type of tree can often be applied - or modified - to suit other types of trees. Even if your goal is only to prune one specific tree in your backyard, it is helpful to learn about the subject of pruning in a broader sense. PROPER PRUNING FOR BEGINNERS These articles discuss very basic pruning techniques. Topics include subjects such as general pruning terms, how to use a pruning saw, and how to make basic pruning cuts. PRUNING AZALEAS AND SHEARING In Japanese gardens, the importance of shearable shrubs such as azaleas can not be overemphasized. These articles talk about techniques for shearing tamamono shrubs and how to create the okarikomi wave effect. PINE PRUNING One litmus test of a Japanese gardener's skill is his or her ability to skillfully prune pine trees. These articles discuss pine pruning techniques and special aesthetic topics that are unique to Japanese garden pines. JAPANESE MAPLE PRUNING One expert has said, "The secret to pruning Japanese maples is to prune often and lightly." Pruning Japanese maples is not particularly difficult, but there are a few key points to think about. PRUNING HYDRANGEAS Hydrangeas are sometimes used as accent plants in Japanese gardens. These articles discuss specific techniques for pruning hydrangea. CHERRY TREE PRUNING The first thing to realize about cherry trees is that they are usually NOT used in Japanese gardens. There are many reasons for this, the most important one being the cherry tree's lack of 4-season beauty. (see Cherry Tree Myth article) This being said, many JOJG readers want to learn how to prune cherry trees, and indeed there are some important pruning techniques to know about. PRUNING CREPE MYRTLES Special pollarding techniques are required for pruning crepe myrtle. Know as saru-suberi in Japanese, this tree is known for its interesting shape and smooth and handsome bark. PRUNING WEEPING TREES Aesthetically speaking, the key concept for pruning weeping trees is the exact opposite of pruning regular Japanese garden trees. These articles discuss special techniques for pruning weeping trees. ADVANCED JAPANESE PRUNING TECHNIQUES These landmark articles offer English-language pruning information that is unique and available nowhere else in the world. Some Japanese garden professionals subscribe to JOJG specifically for these advanced pruning articles.